Aye, aye! The Captain returns to port. Pacific City, Oregon (August 17, 2018)—Oh Captain! My Captain! Pelican Brewing Company welcomes back its barrel-aged triumph Captain of the Coast as it returns to port next weekend on Saturday, August 25th. Pelican’s celebrated Wee Heavy Ale aged in Dry Fly Wheat Whiskey Barrels took top honors this year at the 2018 Australian International Beer Awards. The limited-production Captain of the Coast, which will be available this month in 22 oz. bottles and on draft at select locations, is available now for pre-order online. 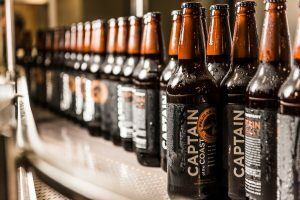 The Captain will be available for pick-up at Pelican brewpubs in Pacific City, Cannon Beach and Tillamook next weekend starting Saturday, August 25th, and in specialty bottle shops the week of August 27th. For those fanatics who would like Captain shipped directly, Pelican can ship to select US States—please email Zack@PelicanBrewing.com to be added to a waiting list for shipping. Supplies are limited. For this commanding version of MacPelican’s Wee Heavy Pelican took its award winning Wee Heavy and laid it down in Washington Wheat Whiskey barrels from Dry Fly Distilling in Spokane. What emerged was recognizably Wee Heavy, but with added notes of chocolate covered cherries, toasted oak, spice and vanilla in the aroma. The first sip produces flavors reminiscent of malted milk balls and crème brûlée with a silky-smooth mouthfeel. Continue on the voyage and you’ll find dried apricots, sherry-like flavors, and dark marmalade. “We have had a blast creating this series of beers that take on the flavor of aged wood barrels and the character of their previous tenants—last year’s release of Captain sold out so quickly that we vowed to make a bigger batch this year in hopes of sharing with more of our barrel-aged beer fans,” said Darron Welch, founding master brewer at Pelican Brewing Company. With a nod to the popularity of Pelican’s original barrel-aged masterpiece Mother of All Storms, English-style Barleywine aged in Bourbon Barrels, the brewery continues its vision for creating recipes that combine beer, spirits and barrel flavors. 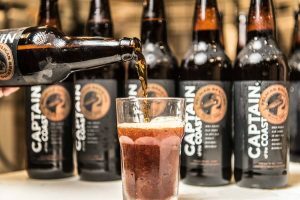 Fellow fanatics of Pelican’s barrel-aged series have more tasty collectables ahead with quarterly releases of Captain, Queen of Hearts, Father of all Tsunamis and the annual return of ‘Mother’ this fall. 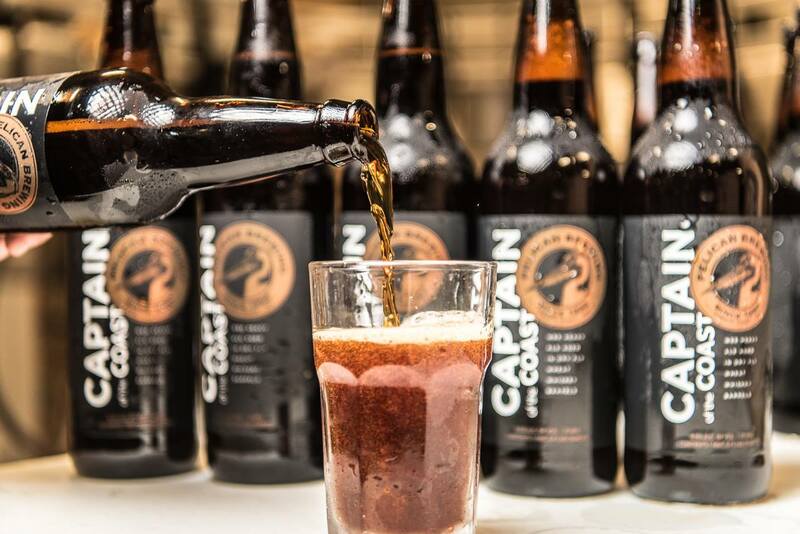 Like all Pelican beers, Captain of the Coast is born at the beach by a team of award-winning craft beer makers known for brewing styles of beer that they themselves love to drink. Cheers!